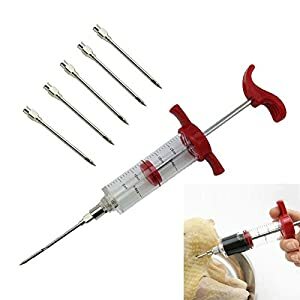 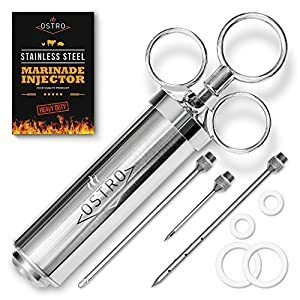 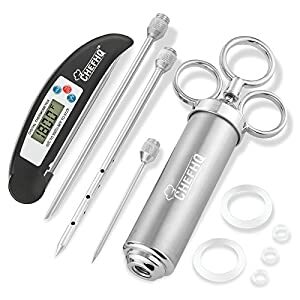 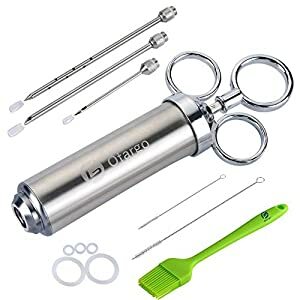 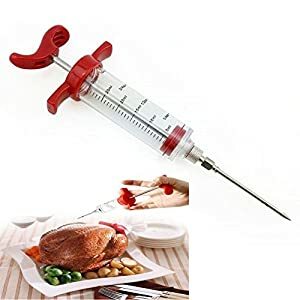 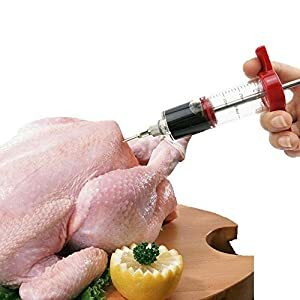 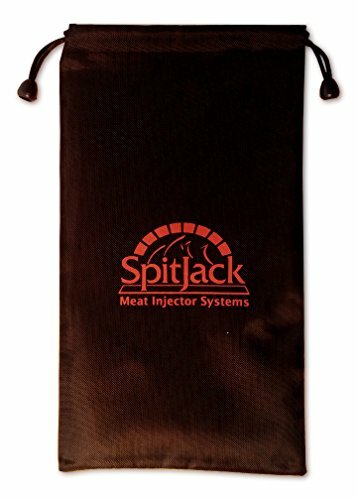 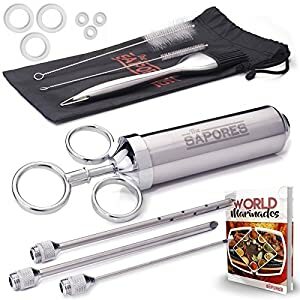 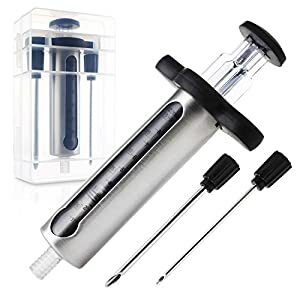 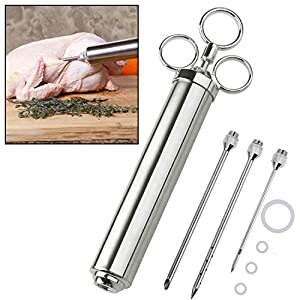 The Magnum comes with 2 needles, 1 with a slanted open tip (for injecting a marinade that might have small spice or herb particles) and the other with a closed end and side perforations (for liquid only flavoring solutions). 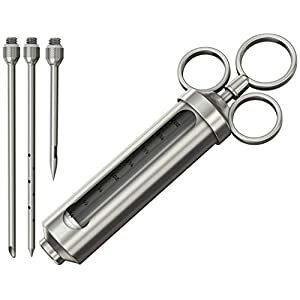 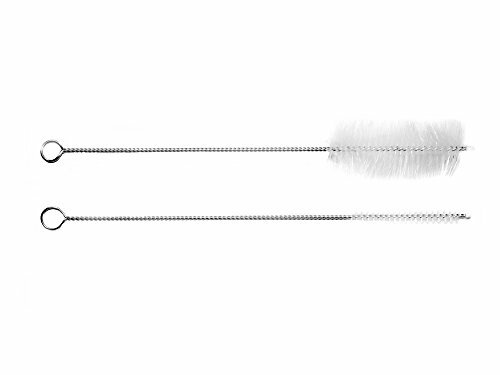 An optional 3/8″ slanted open tip needle that can be used for injecting larger particles or solid pieces and a smaller, thinner gauge needle are also available at additional cost. 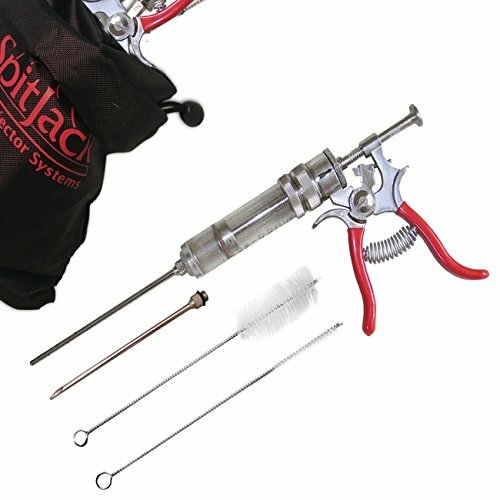 The Magnum Injector is manufactured in the USA from quality nickel plated brass and die cast zinc, with FDA food borne approved O-rings. 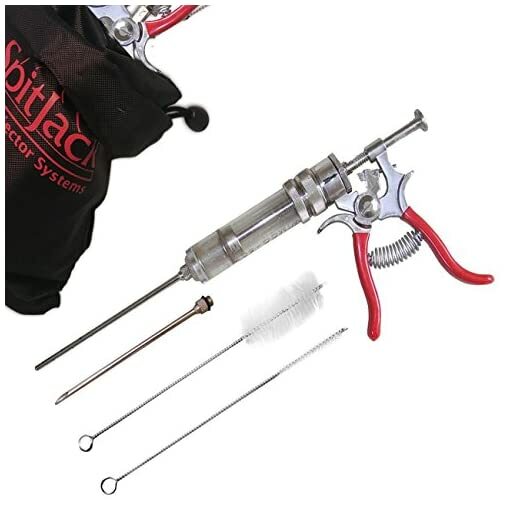 Made in USA – this injector or its needles will not break!